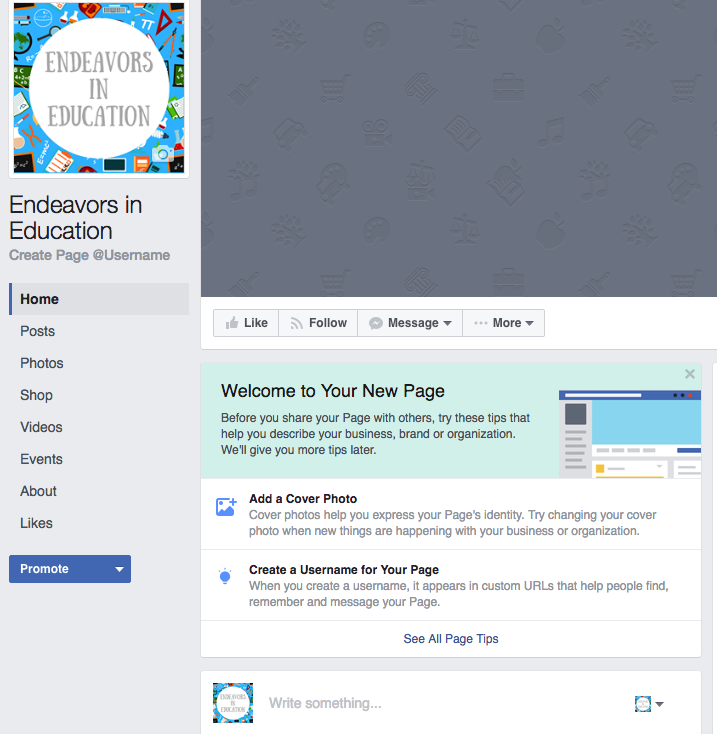 Endeavors In Education: Creating a Facebook Page and a #sale! 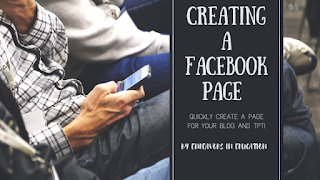 Creating a Facebook Page and a #sale! I have been on Teachers Pay Teachers for a long time and as I have mentioned in other blog posts, I haven't quite capitalized on some things I should have. I.E. 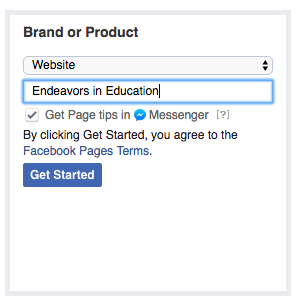 Tailwind, becoming a premium seller on TpT, and creating a Facebook page for my brand. Today I decided to go for it and create a Facebook page. I was hesitant to do so because I didn't want it linked to my personal profile, but I realized the benefits far outweigh the drawbacks. I decided to write a blog post about this so it could help others. If you are thinking about making one or haven't done it yet, I highly suggest you create one. It takes a few minutes to set up and then you are good to go! 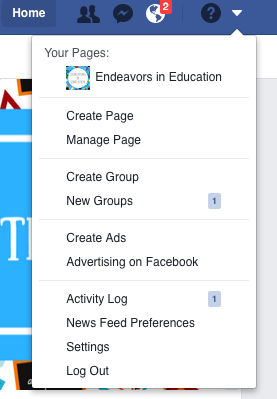 Click on the arrow in the top blue bar and choose "Create Page." When you do that it will take you to this page. 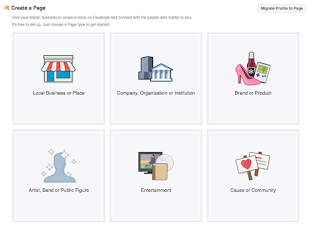 There are six options to choose from with different page types. I ended up choosing "Brand or Product." It then guides you through the steps to create your page. I chose website and entered my name "Endeavors in Education" and it brought me to my new page. 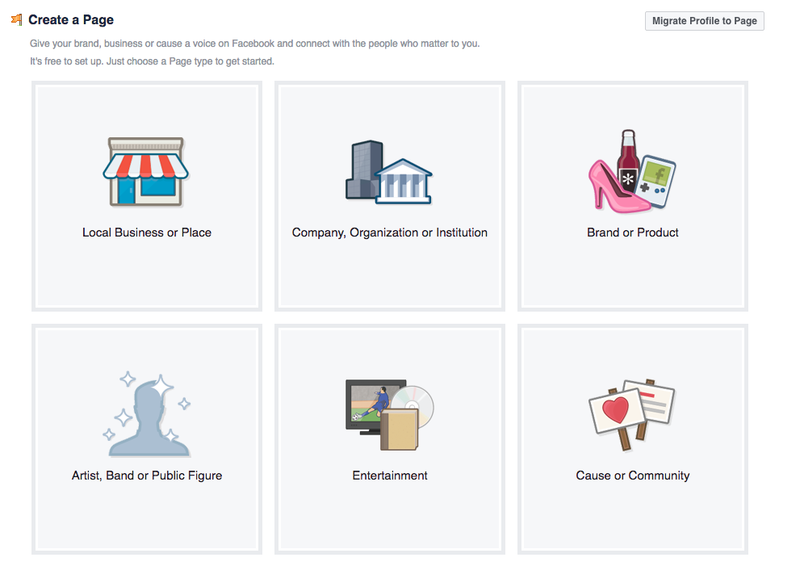 Facebook makes it really easy by guiding you through the steps. I linked my social media, added a profile and cover photo, and began to add content. My only regret is I wish I did it sooner! I would love to have you like my page! 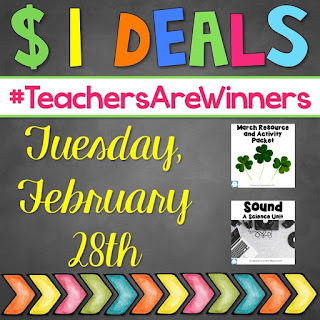 Also, get ready to score some deals with the #TeachersAreWinners hashtag sale! So many great products will be marked down to $1! My March resources packet and Sound unit will be on sale for $1! Make sure to search the hashtag to find some great deals or click the picture below! These are such excellent points to take my TpT shop to the next level. Thank you for sharing!! What an endeavor and an accomplishment. I'm so glad I took my "store" to the next level. Thanks for sharing these helpful hints! YEs. Love my Page as well. That totally helps.